Dojo Shifter 2 is a powerful tool for After Effects to stagger, move, and offset layers, keyframes, and more. Take command of your layers and keyframes and automate everyday adjustments quickly. 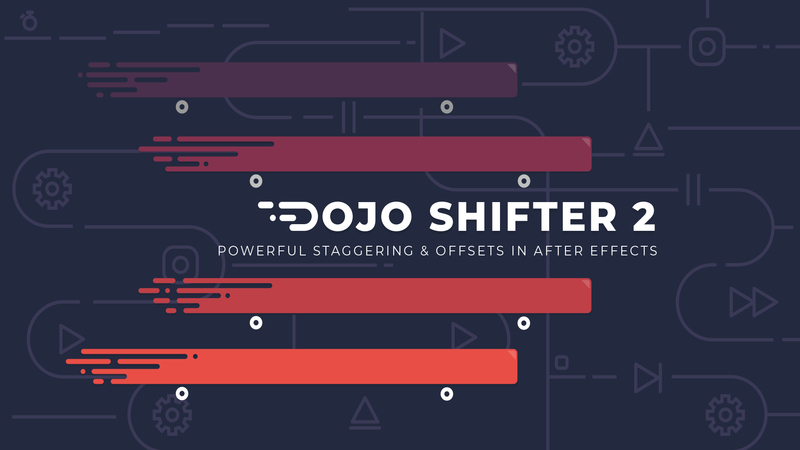 Dojo Shifter is a must-have tool for motion designers working with tons of layers and effects, and could save you a countless amount of time. Add organic offsets with the ability to add various easing types to your staggers, something that’s nearly impractical to do manually.